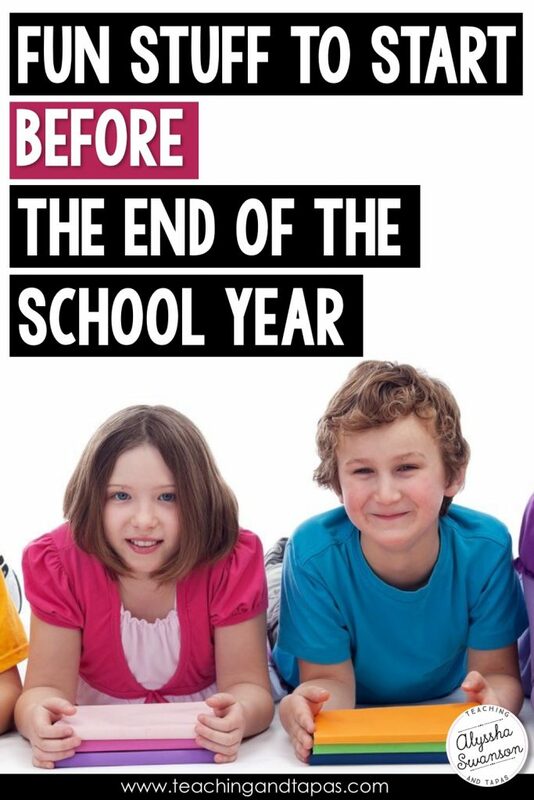 Okay, so you’ve almost finished another school year – CONGRATS! These are my favorite projects for the final few weeks of school. Everything has a purpose. Everything is engaging. Most of all, everything is fun! Students draw/color a picture & write about their FAVORITE DAY of the school year! You set the parameters: (1/2 page? full page? 5 sentences?) and turn them loose with paper, pencils, crayons, colored pencils and some inspirational music for creating! At the end, everyone can show off/present the creations in front of the class! When I do this, I give each student the same size of paper and let them do whatever they want. It can be a picture, it can be writing, or it can be a combo. HINT: No matter what, save these to decorate a bulletin board in August! Let your students make a PowerPoint or Prezi with photos from the school year, sound effects, and/or voice recordings. Let kids work alone or in groups on sections. For example, you can ask who wants to do three slides about what they learned in math. Then another group/individual can do some slides on reading. Break this up however you want! Other section ideas – science projects, field trips, recess games, specials (PE, art, music, etc. ), new students, fun projects, etc. When I do this with my second graders, I give students access to the photos I’ve taken over the year (I keep a copy in case someone deletes a photo I wanted). Some students know the PowerPoint and Prezi programs and they LOVE sharing their knowledge! I kind of like sitting back and letting them figure out the kinks of the programs and working together. The only part I “do” is put all of their slides together into one big presentation. I then share the completed projects with parents. They love it! Have students write suggestions for an ADVICE BOOKLET for next year’s upcoming class. They can write a sentence (or a paragraph) about how to succeed/do well in Mr./Ms._________’s class. 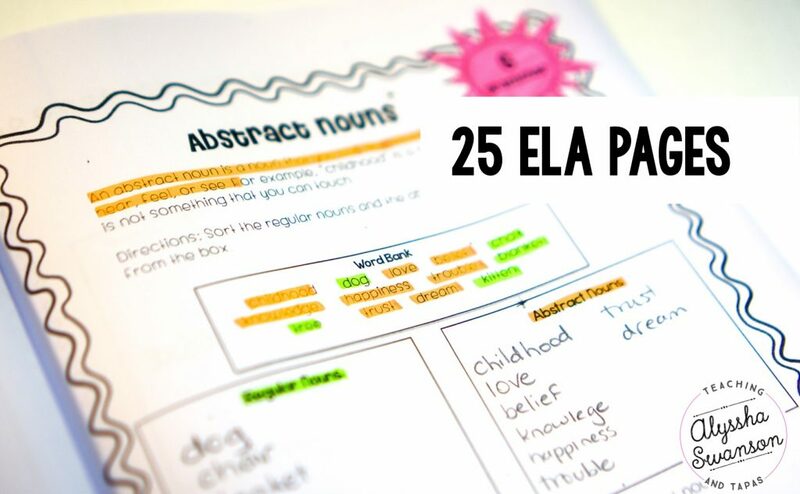 Once all of the words of wisdom have been compiled, read them out loud to the class—they love hearing their words. Then put them in a folder and you can even decorate with these when you come back in August too. This usually turns out to be hilarious and helpful! NO MORE SUMMER SLIDE! Issue a summer learning challenge! 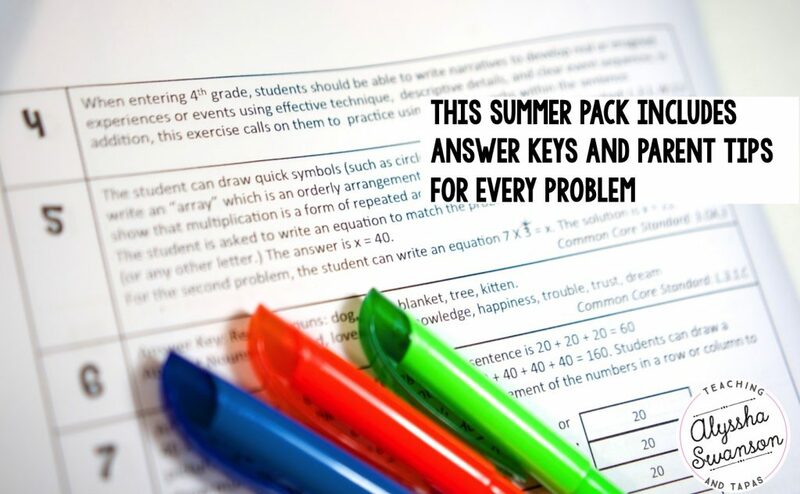 Every year I have a few parents ask me for some work for their child to work on over the summer. That’s cool. But, it’s much cooler to get the kids MOTIVATED themselves! The day that I introduce the summer challenge, I get them worked up. I build up the hype by putting on music and inviting past students who have completed the challenge to my class. I love to have the “older” kids say a few words of encouragement about doing the summer packet challenge. No time to make (or even LOOK FOR) a summer packet to send home? The ones I have made (and used!) have incredible REVIEWS from other teachers. 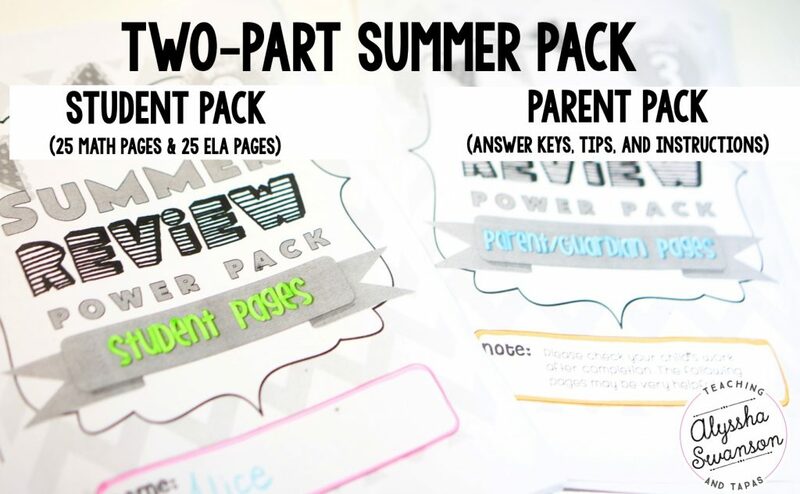 One thing that separates these packets from others is that I’ve included answer keys and detailed instructions for EVERY QUESTION IN THE PACKET for parents. 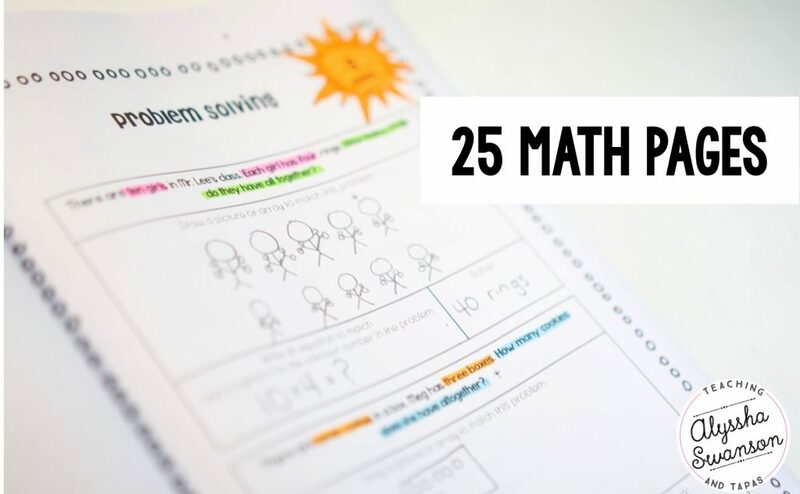 This can be a lifesaver for many parents! 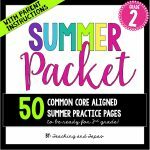 The parent pack is soooo helpful! Sometimes parents struggle to help their child. Maybe they don’t remember what an “array” or “abstract noun” is. No problem. EVERYTHING is described in the parent pack. Even the tricky concepts are explained in detail! 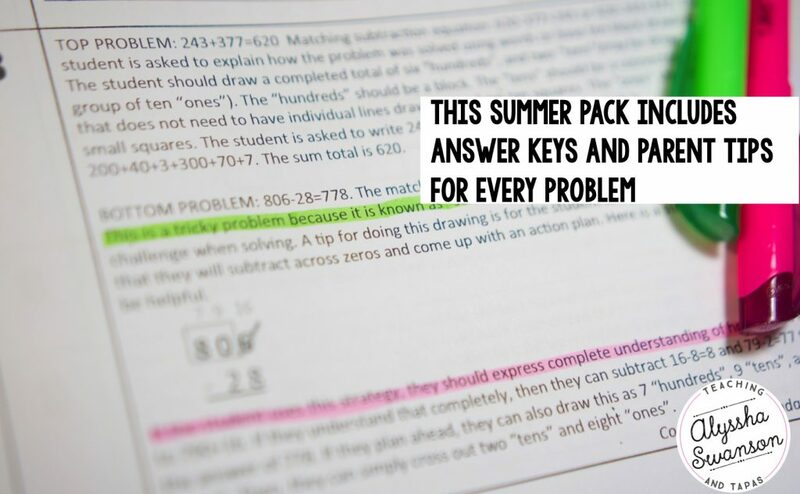 The photo above shows the explanation for a problem that involved subtracting across zeros. 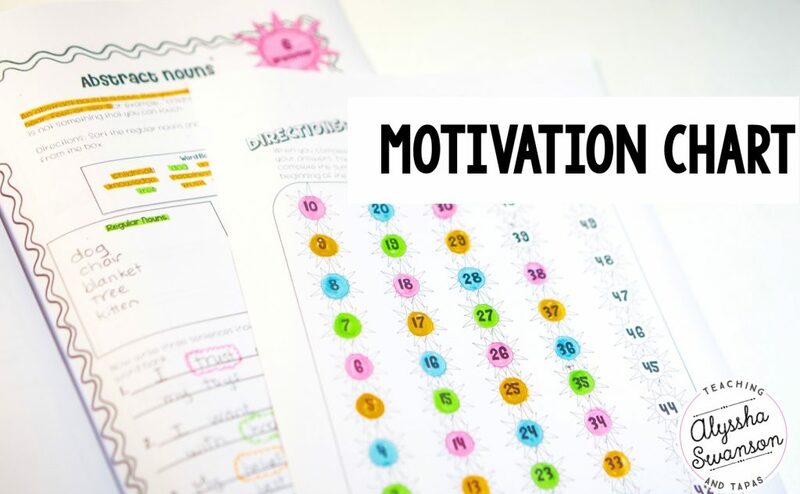 Last but not least, there is a motivation chart included. The kids can color in a symbol for completing each of the fifty lessons. My big thing is motiving my students to finish this and bring it back to me when the next school year starts. I love seeing the look of pride they have!!! I make a BIG deal out of it. The kids who finish the pack get to join me for a special lunch on our campus. They love this because it’s special to eat lunch with your old teacher. In addition, I let each student come read a story to my current class. Then of course, as the end of the year approaches, I invite them to motivate my current class to participate over the upcoming summer. Last but not least, I give them a little certificate (included with the rest of the summer pack). I know the last few weeks of school are stressful. You’re almost there! These packets look amazing! I plan to buy one for third grade! 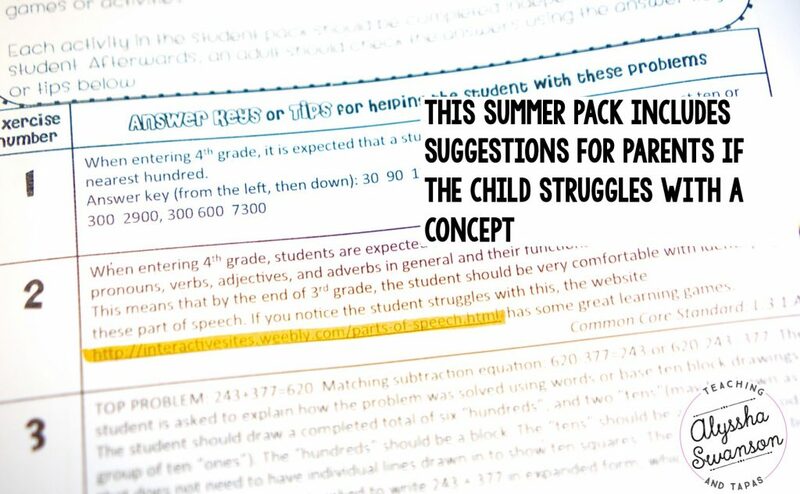 I really like how you included parent tips, as well as answer keys, and suggestions for remediation if a student is struggling! Thank you for stopping by and leaving a comment Emily! 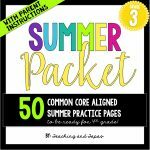 I think you’ll love the 3rd grade summer pack! 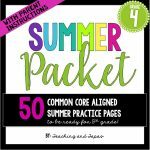 I have your summer pack and LOVE IT!!!! Every fall, I have kids who come back that are super excited to show it to me. Thanks for your hard work!